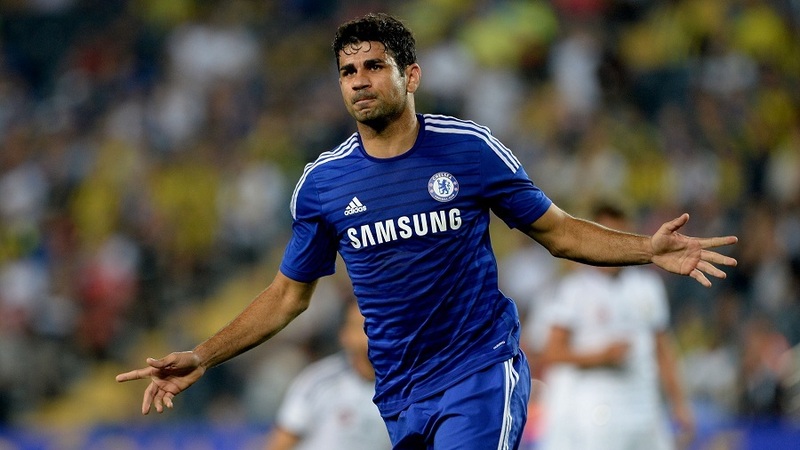 What if Liverpool had signed Diego Costa, not Chelsea? Diego Costa seems to be the final piece of Jose Mourinho’s jigsaw at Chelsea, with the powerhouse forward showing lethal form in front of goal since a summer move from Atletico Madrid. The Blues had a trophyless campaign last term despite the expenditure on their playing squad, with a lack of cutting edge in front of goal the key reason. Costa may well have given the Stamford Bridge side the necessary clinical edge that sees Mourinho’s men unbeaten this season, but what if the Spanish international had joined Liverpool last summer instead? Brendan Rodgers had identified the Brazilian-born striker as a potential new recruit, but the Spanish side did not allow the player to leave after selling Radamel Falcao to Monaco. Costa went on to have a fantastic campaign with Atleti, proving himself as one of the best centre forwards in the world and firing the Vicente Calderon side to the La Liga title. Given the problems that the Reds are currently having with goal-shy Mario Balotelli, had they landed Costa in the summer of 2013 surely the side would be higher in the league than the 11th place they currently hold. Pipped by Manchester City at the death last season, a frontline containing Costa, Luis Suarez and Daniel Sturridge would surely have fired the Merseyside outfit to their first top-flight title since 1990. Over the last number of seasons Liverpool have missed out on a number of transfer targets for one reason or another, but not landing Costa must now be a major regret for Rodgers. Despite a 4-2 victory over Notts County in the Capital One Cup on Tuesday night, Liverpool are counting the cost after losing Kolo Toure to injury. The Ivory Coast international was unable to complete the game after picking up a groin strain and as such is a doubt for the Reds’ weekend clash against age-old rivals Manchester United. Toure’s signing on a free transfer has looked like a piece of inspired business by Brendan Rodgers in the early clashes this season, as the African looks to be getting back to some semblance of the form that he displayed in his Arsenal days. Liverpool will miss his presence at the weekend if he is unavailable, and will hope that his time on the sidelines will not be too long. Should Tottenham, Liverpool or Chelsea be looking at Swansea target Wilfried Bony? Swansea have been doing exemplary business in the transfer market over the last few years, their headline-grabbing £2m capture of Michu the one that really caught the attention. 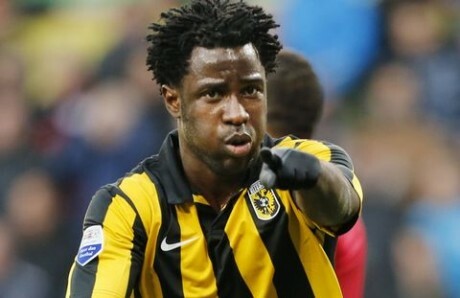 With that in mind, as Swansea look to be ever closer to signing striker Wilfried Bony from Vitesse Arnhem, the obvious question is; are they getting more quality that clubs at the top of the league should be looking at themselves? In the same way that surely Michu’s 20+ goals could have been of use to Spurs or Liverpool last season if they’d known about him. Perhaps Swansea are sneaking through another bargain signing under the noses of clubs that need a striker. Bony is, at 24, about to really hit his prime. Last season he scored 31 goals in 30 games in the Eredivisie. Now, that in and of itself is not an indicator for success in the Premier League. However, when comparing Bony to other goal filled strikers who have failed elsewhere, notably Afonso Alves at Middlesbrough, it’s important to see why he is different. The most successful Dutch league exports are those possessed of physical talent, as well as technical ability. Alves and Luuk de Jong for example, struggled because their relative physical talent was no more than average at a higher standard. 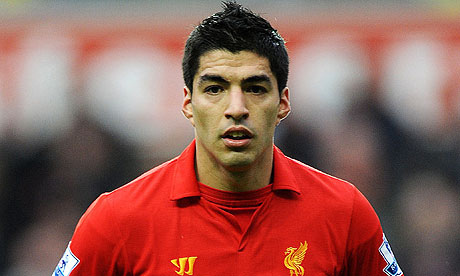 Uis Suarez and Ruud van Nistelrooy possessed the football intelligence and raw ability to succeed when stepping up. Bony is an elite physical specimen. He’s 6ft tall, very quick and strong and has elite balance and spring. It means that not only can he burn away from players when running, he can also more than handle himself in the physical battles. This makes him ideally suited to the Premier League. His canny runs on the shoulder of the last defender were supplied by soon-to-be Chelsea youngster Marco van Ginkel. At Swansea he will have Pablo Hernandez, Michu and possibly a re-signed Jonathan De Guzman picking him out. He could be this summer’s Michu for them. But, should Spurs, Liverpool or Chelsea be having a look? There’s no question all three clubs are in the market for striking reinforcements. Of the three, Chelsea are probably the least likely spot, but, if they are signing van Ginkel, and considering they have a great relationship with Vitesse, they might want to reunite them in blue. However, with Lukaku, Schurrle, Torres and Ba already at the club, they seem to be trying to sign a proven world-class player like Edinson Cavani rather than another prospect. Spurs would be a great fit. They want to upgrade on Jermain Defoe and Emmanuel Adebayor, and Bony could well prove to be that. At this stage he’s not really in a position to start every game ahead of those two straight away, but Andre Villas-Boas is an excellent coach and would perhaps feel like he could mould the physically talented Bony in to a complete forward in due course. He’d make great sense for Spurs if they are willing to be patient and let him develop. Liverpool is an interesting destination for Bony. It seems the Luis Suarez saga has gone quiet at the moment and with the assumption that he will leave now almost taken for granted. But there hasn’t been much news on his possible move. If Liverpool do manage to keep Suarez then Bony isn’t an option. However, Liverpool are trying to build a team to win the league in two years, not this year. This is why they are signing younger, technically talented players that Brendan Rodgers can coach up. Bony has the pace that Rodgers covets and would be able to push Daniel Sturridge to earn the long-term striker role rather than just have it granted to him. At Swansea Bony would be the starter. They would be signing him in the expectation that he can score 20 goals, which he certainly has the talent to do. Spurs, Liverpool and Chelsea could do worse than look at what Swansea are up to and see whether they rate him as a long-term option. 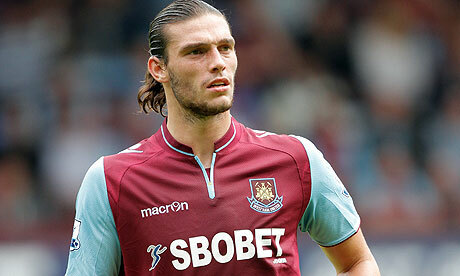 West Ham’s purchase of Liverpool’s Andy Carroll – inspired or mad? Andy Carroll’s much-expected move to West Ham was finalised on Wednesday and is widely believed to end up costing the East Londoners £46m in total – a transfer fee of around £15m and a relatively staggering six-year, £100,000-a-week contract. The question on everybody’s lips is whether Carroll, who scored seven goals in 25 appearances during an injury-plagued loan spell at Upton Park last season, is worth this club-record fee. Just why are West Ham willing to spend so much on a player that Liverpool are prepared to lose £20m on? The fee the Hammers have paid for the England forward pales in comparison to the £35m price tag Liverpool paid in 2011, yet will still be seen as a hefty fee and neutrals will question just what Carroll has to offer. Since his move to Liverpool, the former Newcastle man has been much maligned by many, with that fee hanging around his neck like a millstone. Carroll will feel that such a consensus is unwarranted after an impressive run of form towards the end of last season, in which he netted the winner in the FA Cup semi-final against Everton and a consolation goal in the final. Just as Carroll was beginning to settle on Merseyside however, out went the man who had shown so much faith in him – Kenny Dalglish – and in came Brendan Rodgers, a man whose preferred style of play was never going to make provisions for a six-foot-three striker. Those hoping Carroll would be utilised as a Plan B were left disappointed – a regular place as a mere squad player was never going to be an option for someone who cost, and was continuing to cost, so much. 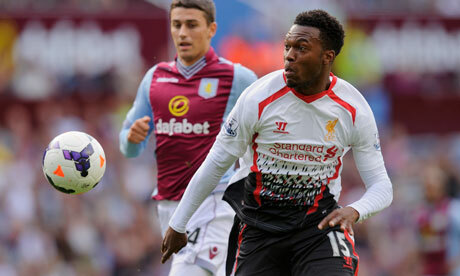 The predicament at Anfield was a typical one when the player in question is of Carroll’s ilk. At his best, Carroll terrorises even the most astute of defenders in the air and has a projectile left foot that is always a threat to opposing goalkeepers. At his worst; the pony-tailed Gateshead man is conspicuously left cantering around the final third leaping into defenders just to feel involved when games aren’t catering to his strengths. At Newcastle, Carroll was at times unplayable – as Arsenal and indeed Liverpool will testify – and when the Anfield club came in for the striker it was to nobody’s surprise – after all, Tottenham and Chelsea were also known to be keeping a close eye on him. It was of course the astronomical fee that Liverpool paid that shocked the football world and, more than likely, the player himself. As the disbelief began to fade however, there was a genuine belief that this was the step that this rising star needed in order to completely fulfil the potential he had shown. Of course, this wasn’t the case and those who have watched the striker closely from his impressive Championship days have been left with a residual sense of frustration and disappointment. Carroll is certainly capable of reaching double figures next season under Sam Allardyce, who is sure to give his new striker the run of games, fitness permitting, he so desperately needs. A strike partner is yet to be shipped in at Upton Park after Allardyce’s failed attempt to audaciously land Alvaro Negredo from Sevilla, but whoever is brought in must play to and off Carroll’s strengths. The aerial strength of Carroll is such that he is more than capable of assisting as many goals as he can score – something he hinted at several times last season alongside Kevin Nolan. There are few defenders who can handle Carroll at his best and if Allardyce has the tools to tap into this rich source of goals then Upton Park may well have a new hero. The player himself must also play his part, as the coming season will be vital with the pressure very much eased on his still young shoulders. He will no longer have pound signs floating over his head whenever he fails to meet a cross or squanders a chance, and hopefully Carroll will eye this as an opportunity to remind us all of the player he is capable of being. Ask any Liverpool, or even Newcastle, supporter about Andy Carroll and the majority will, perhaps reluctantly, speak fondly of the lummox that was their number 9. While others will scoff at the amount that has been spent on Carroll – his two transfers combined far outweighs the money that has ever been spent on Robin van Persie for instance – West Ham fans should be comforted by the lack of ill-feeling towards their new man from those around Anfield. One thing that Carroll is certain to provide fans is a mixed bag of frustration at his unfulfilled but palpable talent and resounding elation when the smiling Geordie wheels away after scoring. The Upton Park faithful will hope for more of the latter and you would suspect that so will those at Anfield and St James’ Park, where a frustrated soft spot for the big man well and truly remains. Liverpool to sign Christian Atsu for £3m – absolute bargain? Liverpool have embarked on an inventive and unorthodox transfer policy so far this summer and adding Christian Atsu would continue that. In the same way that Iago Aspas has come from Celta Vigo, Luis Alberto is arriving having been on loan in the Spanish Second Division and Henrikh Mkhitaryan from Shakhtar Donetsk, Atsu is a little off the beaten trail. Liverpool seem to have learned from getting their fingers not so much burned as torched by Andy Carroll, Jordan Henderson and Stewart Downing at a combined £70m+ and are no longer looking at the nearest options. They are signing players to fit a specific philosophical approach that they have been scouting in unusual areas. Players that Brendan Rodgers, a noted coaching manager rather than distant selector, can work with. This is where Atsu fits in. Atsu doesn’t come to Liverpool with any real pedigree; he is a project for Rodgers to coach. Unlike Mkhitaryan, who has shown his quality on a consistent basis in major European competition and strong domestic league, Atsu arrives with pretty much one and a half seasons under his belt. In 2011/12 he went on to Rio Ave scoring six and making four goals in 27 games before returning to Porto for 2012/13. He didn’t really make the impact expected, stuck behind James Rodriguez who has just cost Monaco £40m. He only appeared in 17 games, all but one of which he was either subbed off or on. 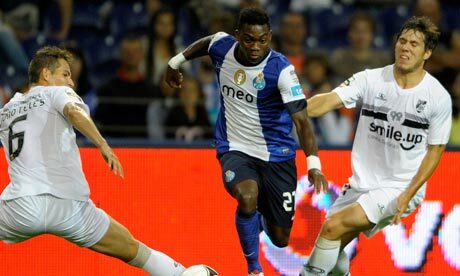 Porto have been taking things steadily with and easing him in to the team. The sale of James Rodriguez perhaps makes it surprising that they would let him go as the spot in the team has opened up nicely for him. Is this something Liverpool fans should be concerned about? Well, not necessarily. Porto and Liverpool play different styles of football for one thing. The pure physicality of Atsu is less of an advantage to Porto than it would be for Liverpool who need his pace and strength to compliment their little technicians. Not that they are in the same breath talent wise, but it’s a similar concept to Real Madrid operating with the physical prowess of Cristiano Ronaldo alongside the smaller technical players. This different angle of attack is needed in the Premier League where defences will be more rugged and against teams who will come out and attack. In Portugal, Porto face only a few games a year where they are not camped in the opposition half. You don’t need a speedy, mostly counter-attacking player when you are against a brick wall. You need clever canny players. So Porto feel they can do without. Although Liverpool will primarily be looking to dominate possession and take games to the opposition, there were flickerings of Rodgers returning to his Jose Mourinho counter-attack routes, which they unleashed with devastating effectiveness on Newcastle and Fulham towards the end of the season. 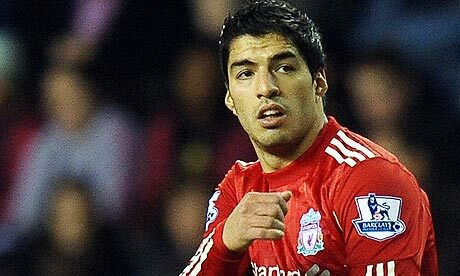 If they do sell Luis Suarez we will see this more and more. Atsu fits in to this. He has the raw pace and has shown that he can get himself involved in goals during his loan spell at Rio Ave. He’s being brought in for Rodgers to coach up and refine. As long as he doesn’t try to force him in to a short passing technical game, he can flourish. With only a year left on his contract at the Estadio da Luz, a fee of around £3 million is being touted, which looks like excellent business for the Reds. If, as looks possible, Liverpool keep counter attacking, he could be polished up in to a diamond. New Manchester United manager David Moyes will have mixed feelings as he reads through today’s newly released Premier League fixture list for 2013/14. On the one hand, he will be excited to get started but on the other, he will see that he faces Chelsea, Liverpool and Man City in his first five games. Although he’s not really under pressure, because United have committed so fully to him, it’s a tough start and questions will be asked if after those five games they already have a couple of losses. Things don’t start easily, with a trip to Swansea on opening day, which will surely be selected for television. Although United would expect to win, Swansea have shown they are hard to beat at home. It’s the rest of August that could be tough for Moyes though. His first game at Old Trafford sees him host Jose Mourinho’s Chelsea. Chelsea are looking like being United’s main title challengers this season, barring some dramatic moves from Man City, and playing them early is not ideal. Moyes will still be getting his message across, still teaching his game plans in a new dressing room for the first time in 11 years. Mourinho on the other hand, has changed dressing rooms four times during that period. He may be able to get his message across quicker. Last season Chelsea showed that they could be a match for United. The FA Cup game at Old Trafford saw them run roughshod through United in the second half as a tease of what could be possible. Of all the teams in the country to play in his first home game, Moyes would probably have picked Chelsea last. However, he will have overwhelming crowd support and if he wins it will be a fabulous start. From Chelsea he then takes his team to Anfield for the always vociferous game with Liverpool. For Moyes, this is a double-edged rivalry. As an ex-Everton manager currently at Man United, he couldn’t get a hotter reception than he will at Anfield. Liverpool have done well at home to United over recent years and the team will be flowing with adrenaline cheered on by a boisterous crowd. 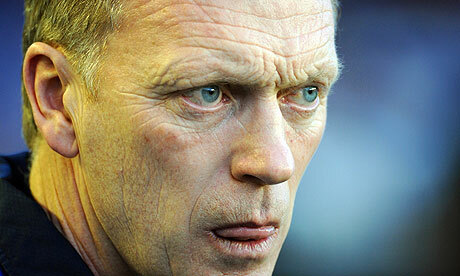 Again, the result of this could go either way for Moyes. If he was to lose this on the back of a loss to Chelsea the alarm bells will be ringing. However, should he beat Jose Mourinho and then go to Anfield and win his legitimacy will be sealed. He will have shown he deserves the job. A routine home win over Crystal Palace should follow before what has become the hardest game in the league over the last couple of years; Manchester City at the Etihad. City will also have a new manager who will be under pressure to win. Unless Moyes loses to both Chelsea and Liverpool in all likelihood Pellegrini will be under more of a spotlight. It’s a big early momentum decider for both men. A win would give them both breathing room and an advantage in the title race. If David Moyes can get out of these five games unbeaten then he will have firmly established himself as the boss. If they lose a couple, or even all three of these tough games, the spectre of Sir Alex Ferguson will loom large. However, after this tough start the fixtures ease significantly for a considerable period. Elsewhere on opening day the newly promoted teams have very tough starts. Hull face a trip to Chelsea for Jose Mourinho’s first game, Crystal Palace host Spurs and Cardiff travel to West Ham. Arsenal and Man City host Villa and Newcastle respectively and will be expecting to win. Liverpool’s goalkeeper – Reina or Mignolet? For the various issues Liverpool have to address with their squad, goalkeeper wouldn’t appear to be the most pressing. 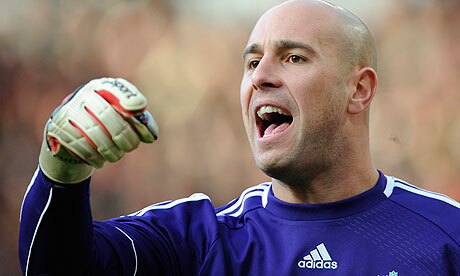 Pepe Reina, despite not being what he was a few years ago, is still a good quality option. Good enough to be heavily linked to Barcelona even. Considering that they haven’t done anything about their possible left back weakness or sorting out a quality centre back, it’s surprising that they are prioritising a goalkeeper. Simon Mignolet is a top class goalkeeper; last season he was in the top five in the league and stood head and shoulders above his Sunderland teammates, but is he that much better than Reina in order to justify a £10m outlay? The answer to that would only be obvious if they have a sale for Reina in mind. A sale that as yet, is remaining fairly secretive. What is unclear at the moment is where he could go. Barcelona need a replacement for Victor Valdes but not until next summer and Real Madrid have two quality keepers. Elsewhere in La Liga, Atletico Madrid have a gap now that Thibaut Courtois is temporarily back at Chelsea. However, unless Mourinho chooses him as first choice it’s unlikely he won’t be back in Madrid. Real Sociedad are in the Champions League and could be an interesting option. They could stand to upgrade in goal but are unlikely to have £6-8m to spend. The same could be said of Valencia or Sevilla who are both short of money. So La Liga is probably out of the question unless Liverpool drop the price a lot. Outside of Spain there are some possible destinations. The main one is Napoli, and this is where Reina could go. With Rafa Benitez having been appointed and the incumbent Morgan De Sanctis being 36 years old, they have a weakness. They have some money and may have a lot more if they sell Edinson Cavani and also offer Reina Champions League competition. AC Milan could also be a good spot for him as they have a weakness between the sticks. In England the obvious option is Arsenal who are surely on the lookout for a goalkeeper, particularly if one is on sale. In fact, it seemed as if Mignolet would go to them rather than Liverpool at one stage. The final option will be Monaco who should not be discounted. They have all the money they need and could become a major club in the next few years. Liverpool should be able to get £6m for Reina despite him being 30 years old. There are enough clubs who need a keeper and will feel they can justify it so they won’t be stuck with both. But that means Liverpool are down £4m in order to swap Reina for Mignolet. And that is being done before addressing any other weaknesses. Is he worth it? Mignolet has made his name as an exemplary shot stopper but last season showed much improved penalty box command. One area Liverpool were vulnerable last season defensively was against the ball in the air. For all his qualities Reina is not the most commanding in the air or with his fists. Mignolet is a different proposition. He is big and authoritative, overcoming some really poor defenders at Sunderland to record a lot of clean sheets. If Rodgers wants ball playing defenders he needs a keeper who can dominate the box, and that is what Mignolet does. He is also very quick coming off his line to shut down shooting angles and helping after defenders make mistakes, something he’ll encounter behind the current Liverpool back four. His distribution from hand is excellent but his kicking isn’t great. He won’t have the variety of distribution with ball at feet as Reina. So overall then, assuming one of the logical destinations outlined above make the move for Reina Liverpool will have spent about £4m for Mignolet. He’s five years younger than Reina and has better authority against the aerial ball. It will prove worthwhile but only if they sign a proper central defender. It’s a good move but something of a luxury one. As the increasingly tiresome Luis Suarez transfer saga barrels its way through gossip columns on a daily basis, many Liverpool fans are justifiably concerned about going into next season without their divisive, yet undeniably gifted, forward. Absurd digressions aside, Luis Suarez was phenomenal last season – lighting up even the drabbest of games with his hypnotic dribbling and markedly improved finishing, managing 23 goals in total. Suarez himself has added his voice to the rumours on so many occasions, that even the self-styled spokesman of all things football Dave Whelan may soon be asking the Uruguayan to pipe down. The lure of Real Madrid and the endless chastisement from the British media are just two of the reasons Suarez has given for considering his future. To the Reds fans though, such explanations are irrelevant. For all the fans care, his prime reason for leaving could be his disappointment with the abomination that is the new away kit – as long as he is not in a Liverpool shirt come the end of his suspension it will certainly be seen as a huge loss and fans will simply learn to move on. The problem Liverpool supporters may be slowly beginning to learn however, and something that manager Brendan Rodgers must address, is the emerging pattern of star players moving on without having made a lasting impression in terms of honours. One suspects Suarez’s real reason for looking elsewhere lies in his warranted belief that, as a world-class player, he belongs in a world-class team that is challenging for trophies – an explanation that fans, with a heavy heart, must accept. If their star man is to leave this summer, a priority for Rodgers must surely be to not allow a player to be able to use the same rationale in the future. What Liverpool fans wouldn’t give to lay the blame for the departure of a player on the manager (Rafa Benitez – Xabi Alonso to Madrid) or even the player himself (Steven Gerrard almost – 2005) rather than the performances of their team. When Fernando Torres left Anfield for Chelsea, the pain that came with it for Liverpool fans was short lived with the arrival of Suarez from Ajax. The transition was seamless yet the relief merely masked the heavy reliance on their star men. In Torres and Suarez, Liverpool have had the enviable fortune of boasting two 20-goals-a-season strikers amongst their arsenal yet have only managed to win a League Cup since the signing of Torres in July 2007. If, or when, Suarez departs, the main objective for Brendan Rodgers and managing director Ian Ayre must be to use the vast sum that would come with the transfer to buy players that contribute to the talent that is slowly merging at Anfield in Philippe Coutinho and Daniel Sturridge. 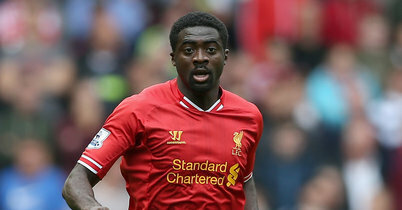 The reasonably priced signing of Spanish forward Iago Aspas and the potentially canny decision to sign Ivorian stalwart Kolo Toure on a free must surely be welcomed despite those expecting a £40m marquee signing should Suarez depart. A quick glance to the claret and blue section of East London should serve as a reminder that panic buying after the loss of a influential player isn’t always the most sensible option. In the absence of Suarez through suspension Liverpool began to look like a team enjoying their football, scoring 12 in their last five league games, and although the loss of such a quality player would be a blow, the solution may not necessarily lie in a like-for-like big money signing. In disregarding other needed improvements in the squad they may well deprive themselves of a genuine chance to build a squad capable of qualifying for the Champions League. Rodgers has to ensure that the likes of Coutinho and Sturridge contribute to the success of the club rather than let them be harvested for two or three seasons just for a Champions League team to prise them away as the endless cycle continues. As pre-season approaches, Liverpool find themselves in a rare position of stability as many around them go through substantial transitions, and it would hurt fans if this current transfer saga knocks any effort to capitalise on this off course – a hurt that would last far longer than any felt with the loss of Luis Suarez.